One of the strategic priorities of the International Association of Facilitators (IAF) is to build a body of facilitation knowledge, through research and exchange and by documenting international stories about the value and power of professional facilitation. The IAF's current body of knowledge consists of the resources listed below. Some resources are available to all visitors to the site, while others are accessible only to users logged-in as IAF members. Over its twenty-year history, the IAF has amassed a remarkable collection of tools, handbooks, articles, pamphlets and other archival material. Not all of it has been reviewed and made available in electronic format. If you would like to help with the IAF's knowledge and archives collection, please contact the Director of Communications. 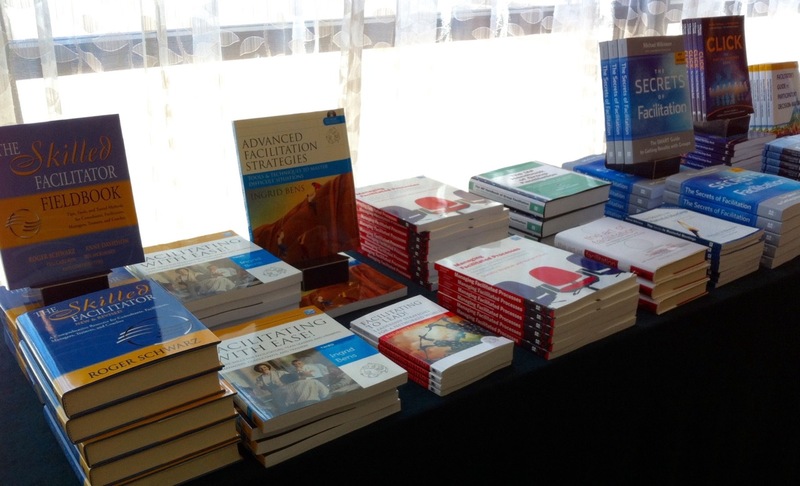 IAF Publications: This section includes resources produced or edited by the Association. It includes the IAF's key facilitation handbooks, as well as other articles and papers. If you are logged on as an IAF member, you will also find past issues of the Global Flipchart, the IAF's quarterly newsletter to its members, as well as Group Facilitation: A Research and Applications Journal. If you are an IAF member, you may upload and describe your facilitation publications too, via your member profile page. The Association is increasingly making its resources available in multimedia formats, for example, by expanding its library of facilitation-related videos. The IAF aims to provide a variety of tools for collegial support and the exchange of ideas. The Association moderates several virtual discussions using social media. It also maintains an IAF Members Directory, in which members can profile themselves and their areas of expertise, background, links to websites, and other information. These networking tools are accessible to members upon log-in. While its own initiative, the Methods Library is a resource that is readily available to IAF members. The IAF supports the Methods Library purpose of making knowledge about facilitation much more widely available. The IAF Certified Professional Facilitator (CPF) is an international designation that indicates the attainment of the Core Competencies for effective facilitation. Members of the International Association of Facilitators are committed to using Statement of Values and Code of Ethics to guide their professional practice. The Facilitation Impact Awards honour excellence in facilitation and its positive, measurable impact on organisations around the world.